April is officially the month where we start house hunting for somewhere to rent! Therefore is there any better time for me to start creating wish lists (to maybe leave around for James to read?) and deciding what I want to make our new house into a home. 1. The Brick LED Alarm Clock £45.99 - One possibly weird bugbear of mine is being able to see light whilst I'm asleep, be it from my MacBook or the Playstation being left on, so digital alarm clocks are usually a pain in my backside. However this clever little thing only shows you the time when you touch it, meaning it's there when you want it, but off when you don't. 2. Joules Imogen Floral Duvet Cover £80 - I'm determined to spoil us with some expensive duvet covers this time around as the dogs will be 100% banned from our bedroom. It will be nice to have hotel luxury in my own bed for once. 3. Josette Dove Grey Cotton Duvet Set £120 - Another plush duvet set to really make the most of creating our own tranquil space. I love being able to curl up in bed and feel like I'm in luxury and look like they'd be so luxurious. 4. 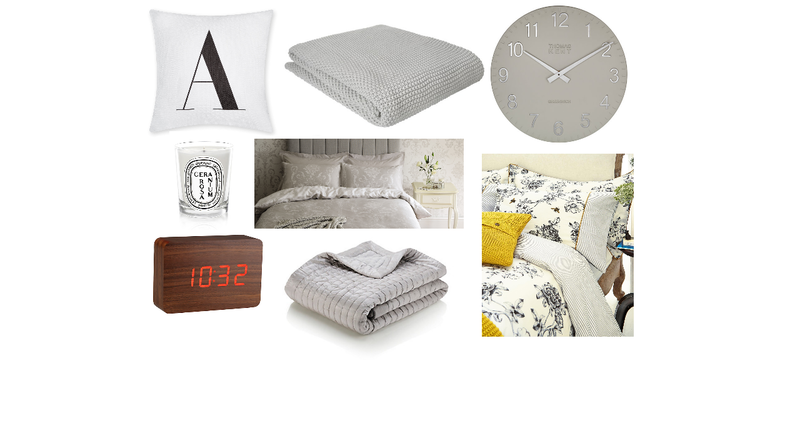 Parker Dove Grey Cotton Knit Blanket £75 - I love a well dressed bed and I always feel like I can feel easier going off to work if my bedroom looks super inviting for me to come back to. I know a lot of people find it unnecessary but throws and blankets can be useful in those chillier months! 5. Silk Blend Bedspread £225 - One throw is never enough, after working for Hammonds for a short time last year amongst the beautiful dressed bedrooms, it's something that I would love to be able to recreate for myself. 6. Thomas Kent Cotswold Clock £40 - If all of the clocks in my house are made by Thomas Kent that I will be one happy lady, I already own two and am not bored of them by any means. They just look so beautiful and perfect and fit in exactly with how I want my home to look. 7. 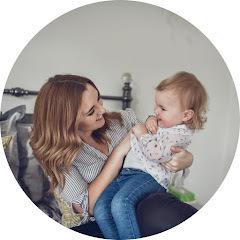 J & R Cushions £10 Each - These little beauties are from Next and I am desperate to get them, I love personalised things that will make our home truly ours so these scatter cushions seem like a great addition to our bedroom. 8. Geranium Rosa Diptyque Candle £40 - No bedroom would be complete without a beautiful candle to light on early nights. Obviously just one will never be enough so I'll have them scattered around but I'd love to be able to treat myself to a Diptyque offering one day.